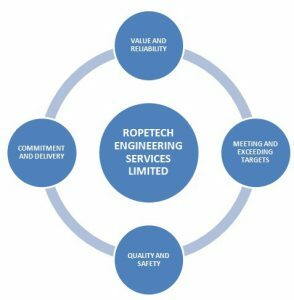 Ropetech Engineering Services Limited was registered in 2001 by a team of Lifting Equipment Engineers and Crane Operator who met whilst working at the Forcados-Yorkri Integrated Project (FYIP). Our service was initially on supply of lifting gears and maintenance of Cranes, but quickly moved into areas of Onshore and Offshore Petrochemical sector of pre-mob Inspection and Certification. 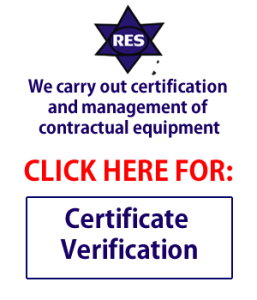 We have grown to become one of the best known names in the field of Inspection and Certification of Onshore and Offshore lifting gears, equipment, Cargo Baskets, Drilling Hand Tools, Spreader Bar e.t.c with a reputation of high quality, professional work and integrity. With proven track record and expertise of the highest standard we have built a disciplined team to tackle the wide variety of work we undertake. We place the utmost emphasis on staff training to ensure that our inspectors are fully competent in the work that they do. We ensure this through a combination of external courses, in-house training and through company mentoring system. We operate prolifically in the areas of Inspection, Load Test, NDT, Crane Rope Installation and Maintenance. These activities are with respect to International Standards (ASME, ANSI, BS, API) and manufacturer specifications. 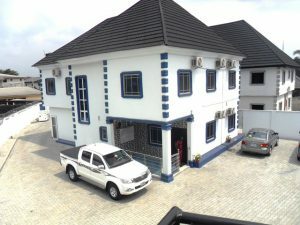 Ropetech Engineering Services Limited equally runs training and certification programmes in areas of Safe Operation of Lifting Equipment, Health/Safety and Inspection. Our high regard to total quality management and value work safety has earned us opportunities in several Onshore and Offshore projects in the oil & gas sector in Nigeria and Overseas.